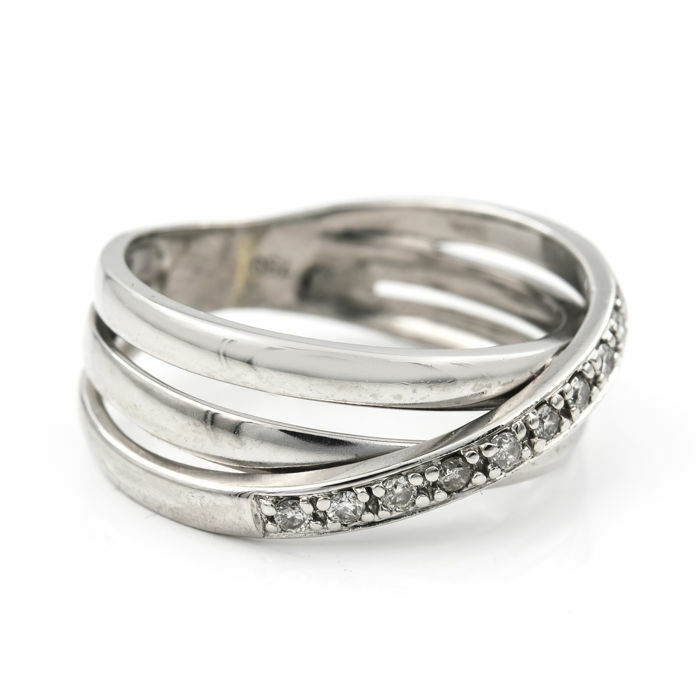 18 kt white gold. 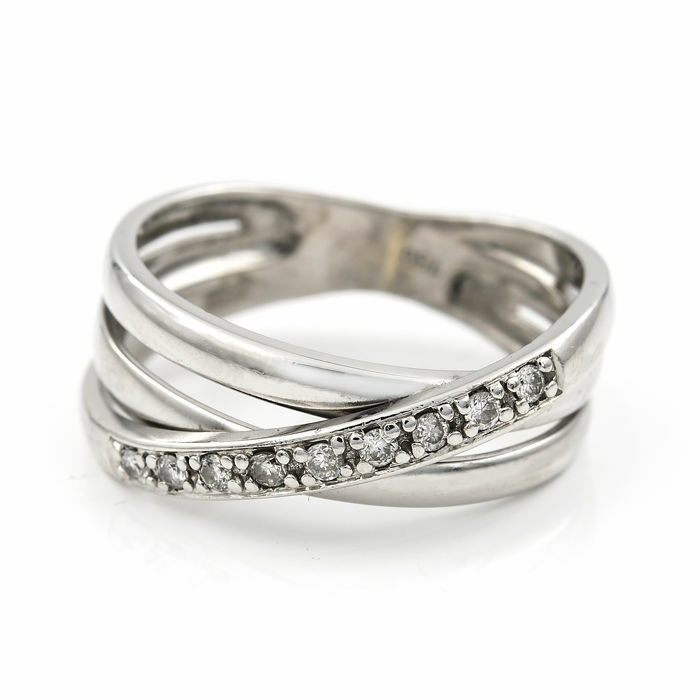 - Cocktail ring - Diamond of 0.30 ct. - Cocktail ring size: 9 (ES). 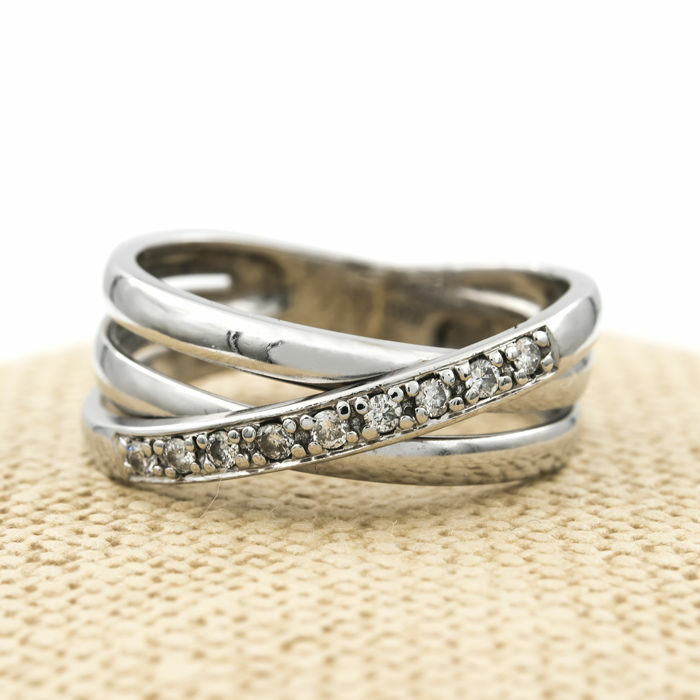 18 kt (750/000) white gold. - 9 brilliant-cut diamonds - Inner diameter: 15.85 mm (approx.). 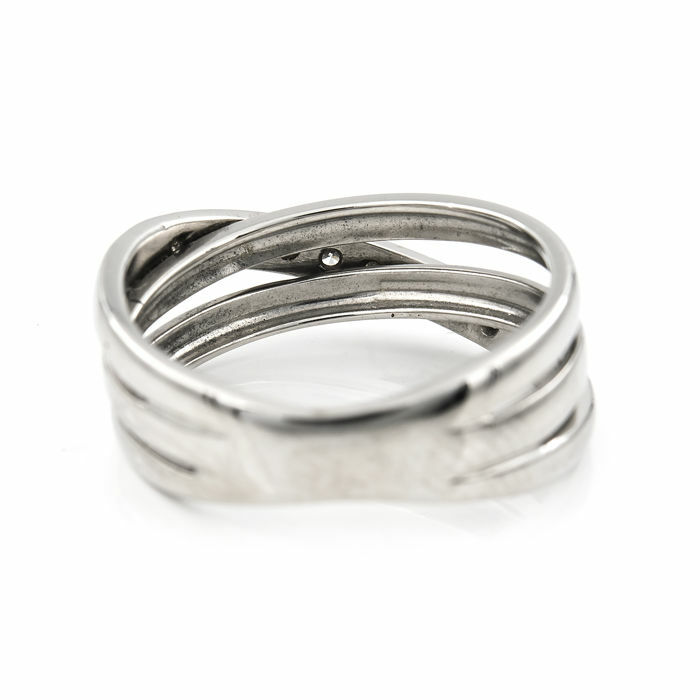 Cocktail ring in 18 kt (750/1000) white gold composed of 3 interconnected rings, one of them crossed with head decorated by diamonds of 0.30 ct. 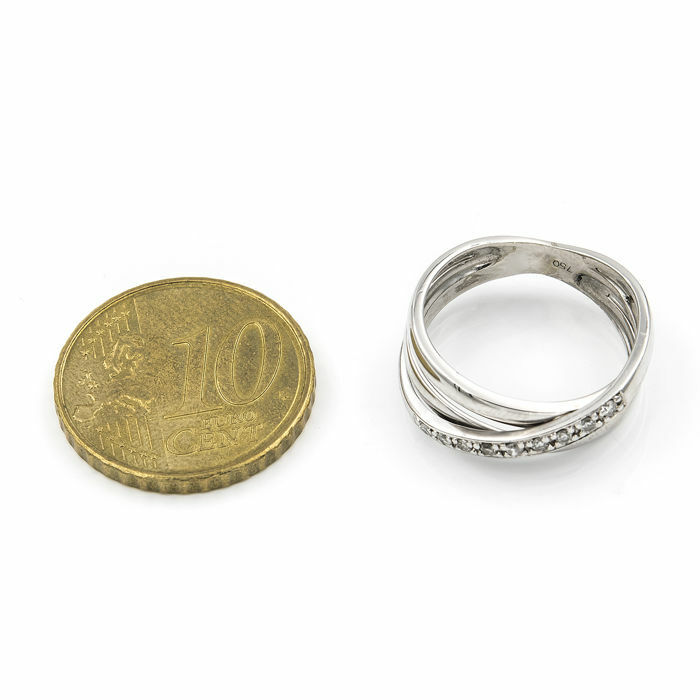 Cocktail ring size: 9 (Spain), in perfect condition. - *Note: We adjust the cocktail ring to your size. - Weight: 3.70 g (approx.). 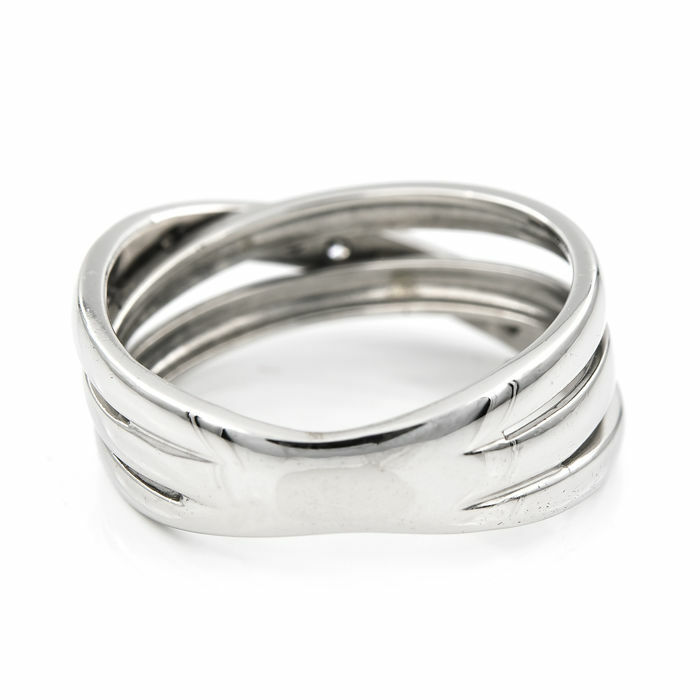 - Cocktail ring material: 18 kt (750/1000) white gold (hallmarked on the inside of the ring). - Maximum width: 6.20 mm (approx.). - Cocktail ring inner diameter: 15.85 mm (approx.). - Maximum thickness: 2.80 mm (approx.). - Number of diamonds: 9. 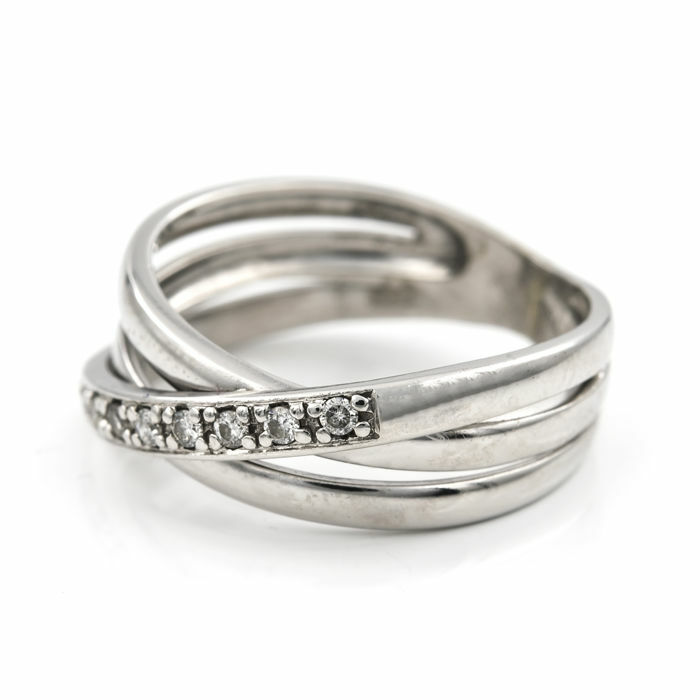 - Total diamond carat weight: 0.30 ct.
- All indicated measurements are approximate.